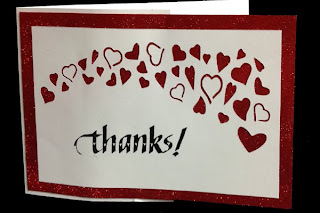 I love using Sookwang tape and glitter and what better way to match that up than using my electronic cutter and Suzanne's eCut files which can be found on the Silhouette online store. Click on either card image to see all the details and descriptions, or click here to go to my website. Enjoy. 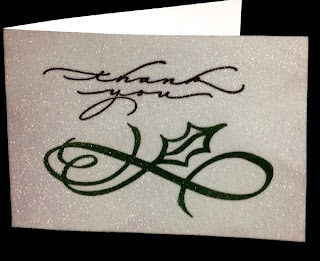 Beautiful clean and glittery thank you cards, Yogi! Wishing you a merry Christmas and lots of reasons to send thank you cards!